The Guinness Entertainment console fits into any décor with ease. 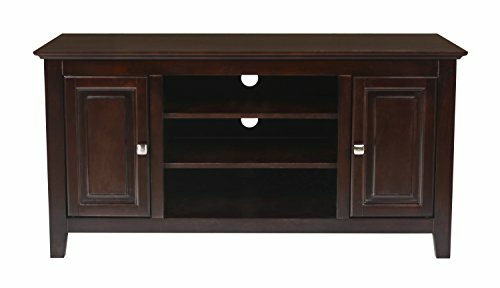 Available in 48", 60" and 72" widths, and finished with a rich merlot color, this ready to assemble console requires no tools to put together, and takes about 20 minutes to assemble. View More In Entertainment Armoires. If you have any questions about this product by New Classic, contact us by completing and submitting the form below. If you are looking for a specif part number, please include it with your message.